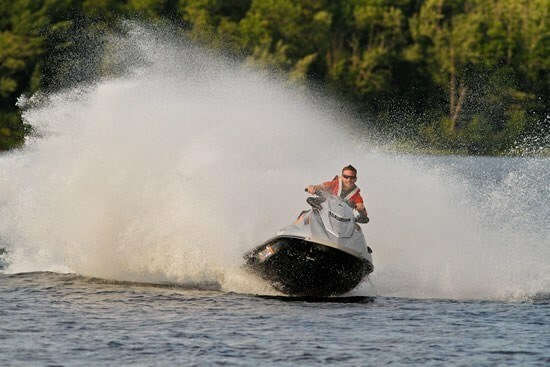 The perception of Personal Watercraft amongst the masses is they are only good for one thing; bombing around the cottage. Well I have to admit, I shared this ignorant stereotype, I would soon learn this couldn't be further from the truth. 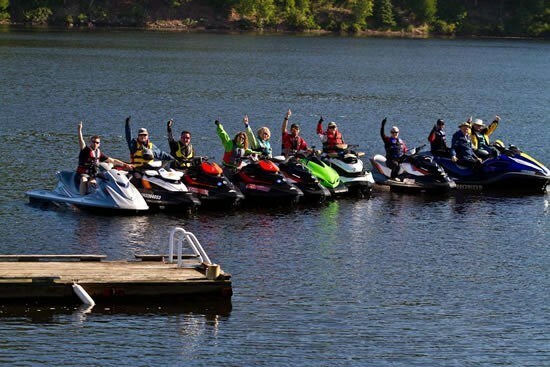 In mid-July I and a group of a dozen die-hard enthusiasts took to The Ottawa River on an unprecedented journey provided by GoRide Ontario. 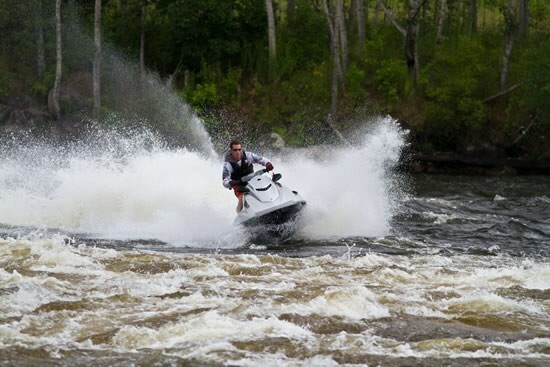 Our mission was to travel over 700 kilometers in just 5 days, all done on PWC's. 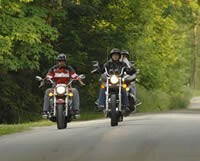 The purpose of our epic voyage was helping to promote a ride of this length like it was possible by an everyday enthusiast. 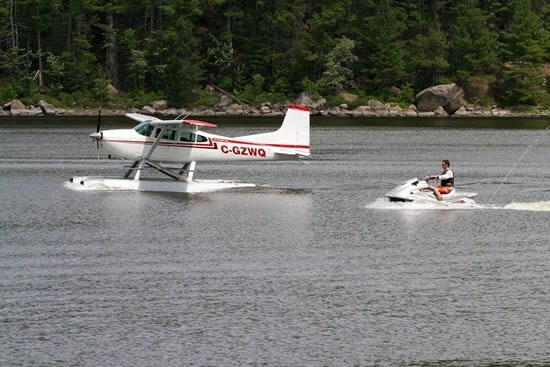 The two key elements when planning a trip of this magnitude are simple: Have good machinery under you (with comfort and reliability being the most important factors) and plan a strategic route that should include such things as boat launches, fuel stops and lodgings along the way. 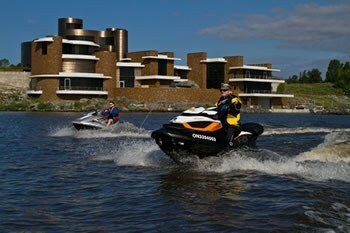 Sea-Doo and Yamaha were our machines of choice with both brands building an excellent touring package. 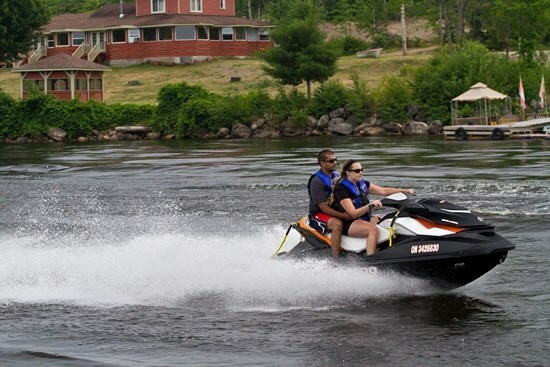 Amongst the cooler features for long distance rides, the Sea-Doo's came equipped with suspension, adjustable handle bar height and even brakes! Being a very tall and heavy rider, these extras were a welcomed addition. Our journey started out in Pembroke, Ontario on a sunny but windy morning. As we arrived for the first leg of our voyage, I had reservations on what type of water conditions we'd be encountering with such a stiff wind, but to my relief the waves were less than 2 feet. 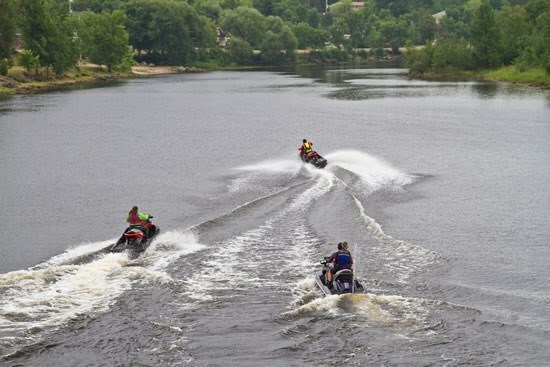 The Ottawa River can be misleading at times because in many spots it doesn't look anything like a river and rides more like a lake, but fortunately it maintains the calm characteristics of a river and the wind doesn't have too big an effect on it. 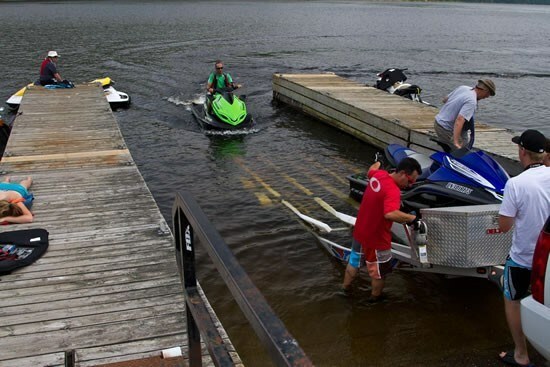 Since The Ottawa River does not run continuously North, boat launches at a variety of convenient locations make it possible to load the machines up and put them in on the other side to continue on your way. We planned for a dedicated "chase vehicle" with a trailer for this task, but we also utilized a local business that will perform the task for a small fee. This massive futuristic looking mansion, located on Lake Temiskaming has an infamous story behind it. It belonged to Peter Grant, of Grant Forest Products and is believed to be the largest home ever built in Canada with a total square footage of 65,000 sq feet. The home was rumored to cost One hundred million dollars to build and after his company went into financial trouble during the rescission, a court order forced him to put it up for sale for a relatively cheap twenty five million! We were able to ride right in front of this behemoth of a house, rumored to be the same size of the richest man in the worlds dwelling, Bill Gates. 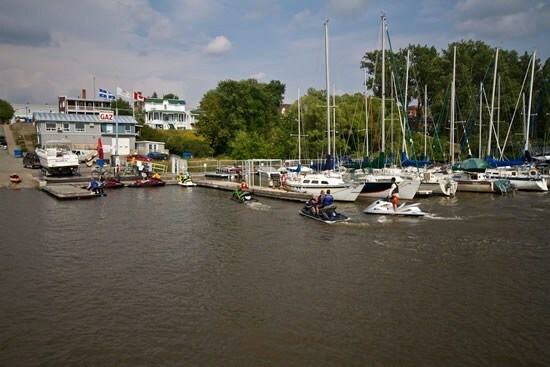 The other element that makes a five day trip possible was great lodgings, most of which are right on the river or just off of, but never far from a marina. One trend I noticed about all these places was exceptional service with friendly staff that was willing to bend over backward to help make our stay a pleasurable one. Being a Toronto boy, the friendly laid-back attitude of people from the North was a welcomed change. Another benefit of staying in all the different lodgings was the excellent food! If I had to pick a favorite, The Presidents Suites wins that hands down. 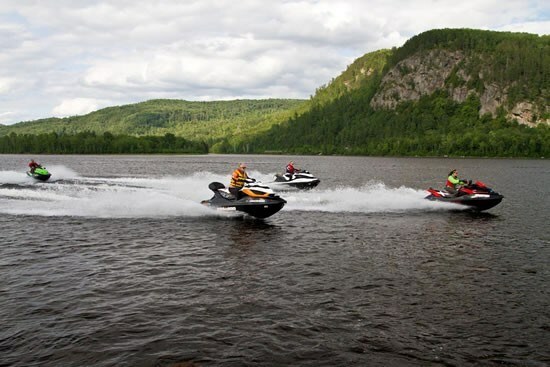 The culinary experience found at the quaint New England style Inn (situated right on Lake Temiscaming sharing a shore line with both Ontario and Quebec) is second to none. A multi day trip like this wouldn't be possible without comfortable lodgings and plenty of good food! 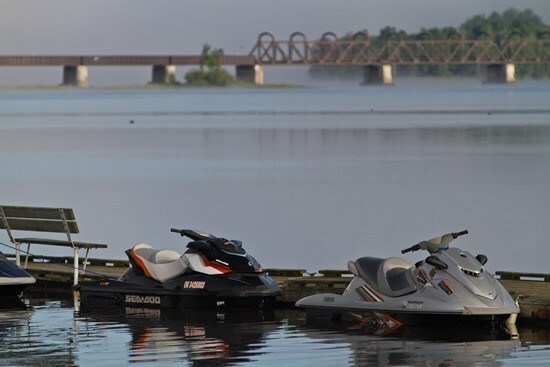 The following is a list of accommodations located along The Ottawa River that welcomed our crew with open arms and will do the same for you. 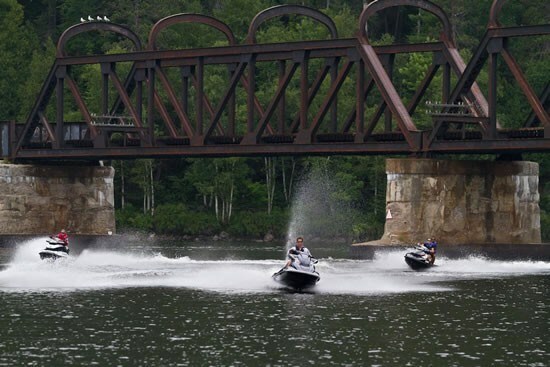 In closing, if you have a PWC and are bored of the same old riding, I highly recommend planning a trip like this. 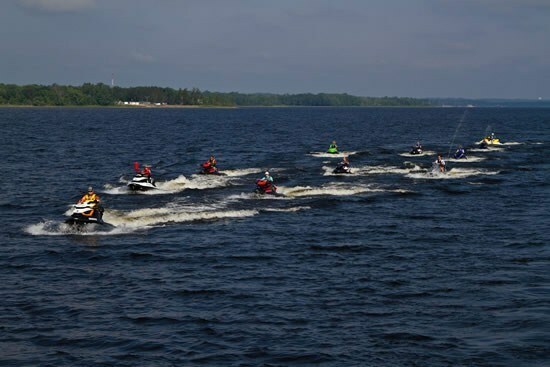 You can get a few buddies together, or take the wife and go with another couple, the point is to just get out on the water and put some seat time on your machine. The beauty of this route is you don't have to cover the full 700Kms to have fun, doing an overnight stay and a 100 "clicks" would be a great start to get a feel for what it's like to try touring on a PWC. 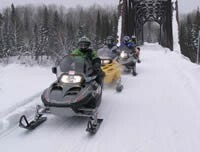 Whatever distance you decide to go check out GoRideOntario.ca, I guarantee you won't regret it.